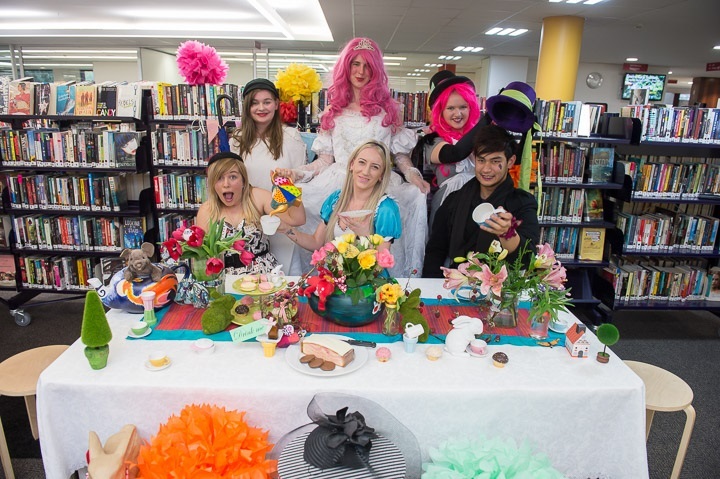 Work experince student, Natasha (top left), enjoying the library’s Alice in Wonderland themed photo shoot. One of my favourite hobbies is reading, so when I learned that I would have to do a week of work experience I thought the obvious choice would be the Tea Tree Gully Library. Having gone on their website and filled out the online application, I thought I would be waiting long, but I got a call later that week. An interview was scheduled and I was accepted. I was both excited and nervous. It would be out of my comfort zone, but I would be surrounded by books so the pros pretty much outweighed the cons. When I walked in on my first day I was nervous, as I said; this was out of my comfort zone. I was scared that I would get in everyone’s way, work too slowly, or mess up. But my fear was not needed, everyone was very welcoming and took their time to explain the tasks to me and I caught on fast enough. The parts I enjoyed the most were probably shelving and working in the chute. Doing my work experience at the library has helped me with my communication skills and has helped me become more confident when handling a task. If you’re looking for somewhere to do your work experience, I definitely suggest doing it at Tea Tree Gully Library. 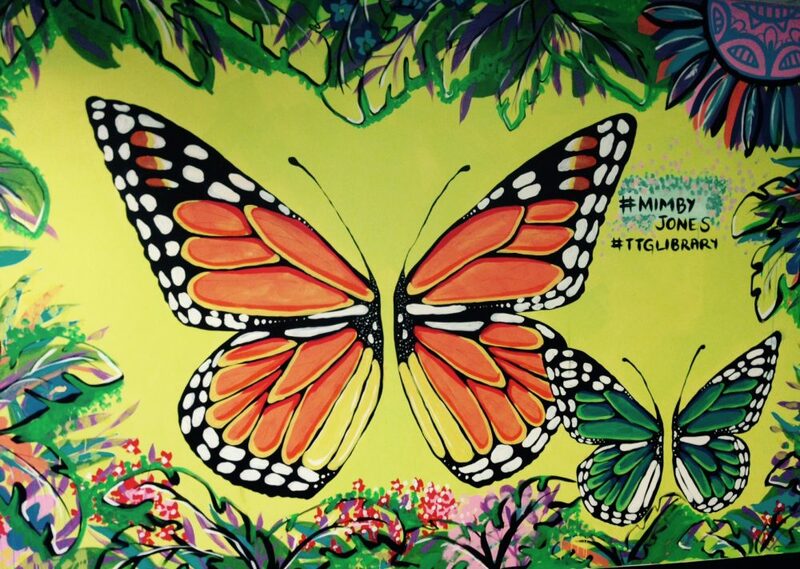 This entry was posted in Work Experience, youth and tagged Tea Tree Gully Library, work experience, youth by ziggy15. Bookmark the permalink.